ErgoPouch Bamboo Stretch Fitted Cot Sheet makes for an excellent purchase if you are a parent looking to buy a long lasting cot sheet for your baby. 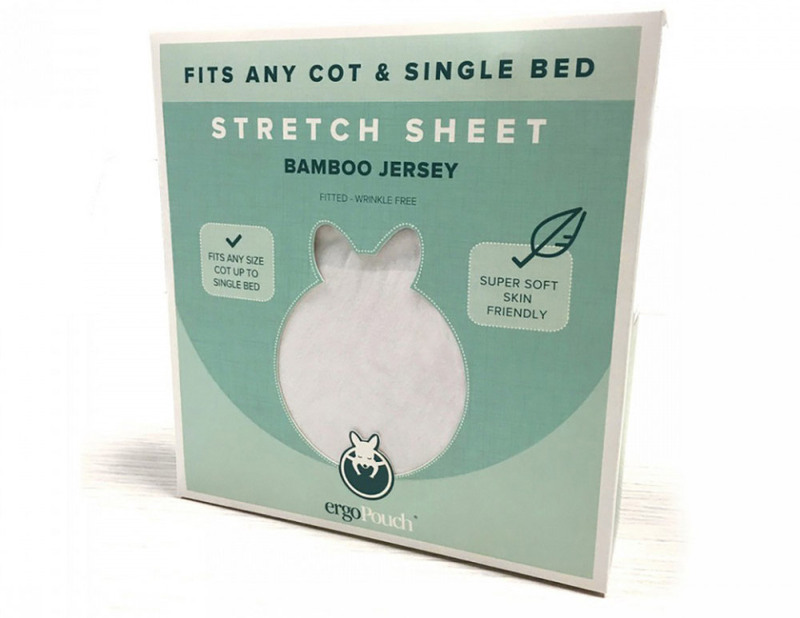 What's even better, is that this bamboo jersey made sheet is designed to stretch and fit any size cot up to a single bed. This unique 2 in 1 fitted sheet can span the life of your child from newborn to adolescence, making it arguably one of the best value products for mum going around! ErgoPouch was founded in 2008 by super sleep deprived mum Alina Sack. Alina was inspired to develop the first ergoPouch sleeping bag with her first son who was somewhat of a ‘challenged’ sleeper. Desperate to help the entire family get a better night's sleep, Alina got out her sewing machine and made him the very first ergoPouch sleeping bag.